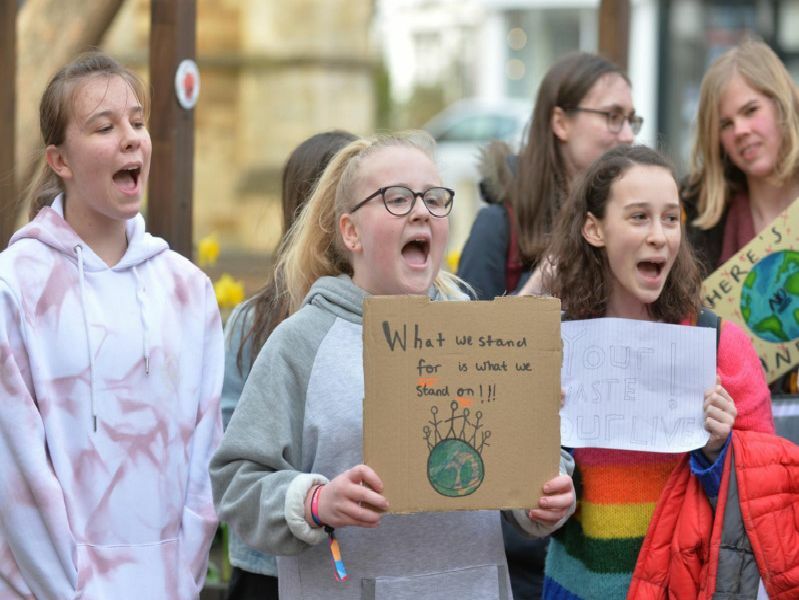 Students from two Market Harborough schools headed into the town centre after lessons to protest for more action to combat climate change. The students from Welland Park College and Robert Smyth Academy chose not to walk out of lessons, but instead after school ended they headed into the town centre carrying banners. The protest was part of a global day of action by young people calling for more action from governments to tackle climate change. The protesters headed to Harborough District Council’s offices where they met with council leader Neil Bannister, leader of the Lib Dem opposition Cllr Phil Knowles, and Neil O’Brien MP.